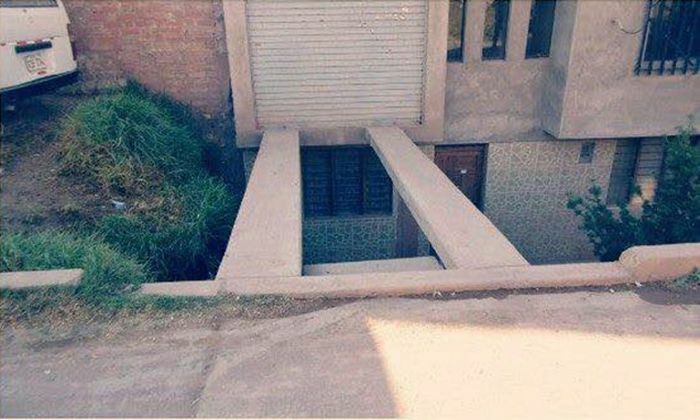 The architect who designed this house is clearly a genius. 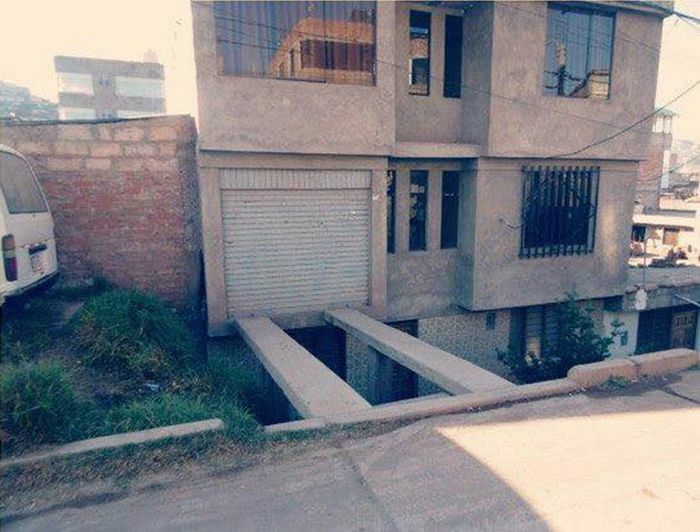 He decided to put a garage on the first floor of the house. Which doesn't work at all because you have to cross a huge gap to get to it. Nah, just be a decent driver. Now, backing out could be another matter. Now, backing out could be another matter. If you pulled in straight, you can back our straight without even looking.